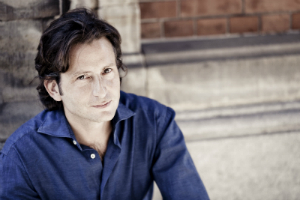 Spanish conductor Gustavo Gimeno made his American debut on Saturday evening at Blossom, but he is far from an orchestral neophyte. 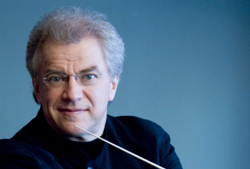 Gimeno has come under the tutelage of Mariss Jansons and Claudio Abbado, and in the 2015-16 season he will become chief conductor of the Luxembourg Philharmonic Orchestra. After winning the 1970 Chopin International Piano Competition, pianist Garrick Ohlsson has gone on to establish a reputation as a musician of magisterial interpretive and technical prowess. 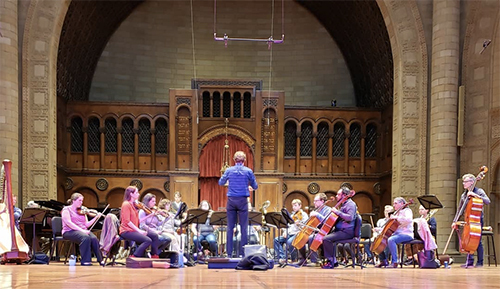 The celebrated pianist is certainly no stranger to area audiences: in addition to his frequent appearances as soloist with The Cleveland Orchestra, he has also presented recitals for Akron’s Tuesday Musical Series, collaborated with the Takács Quartet for the Cleveland Chamber Music Society, and performed a benefit concert for ChamberFest Cleveland. 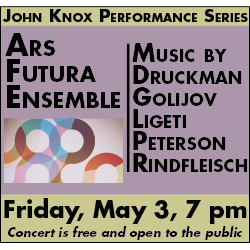 Still, there is one Northeast Ohio series that has eluded him — the Oberlin Artist Recital Series. However, hurricane Sandy had other ideas and forced the cancellation of that performance. 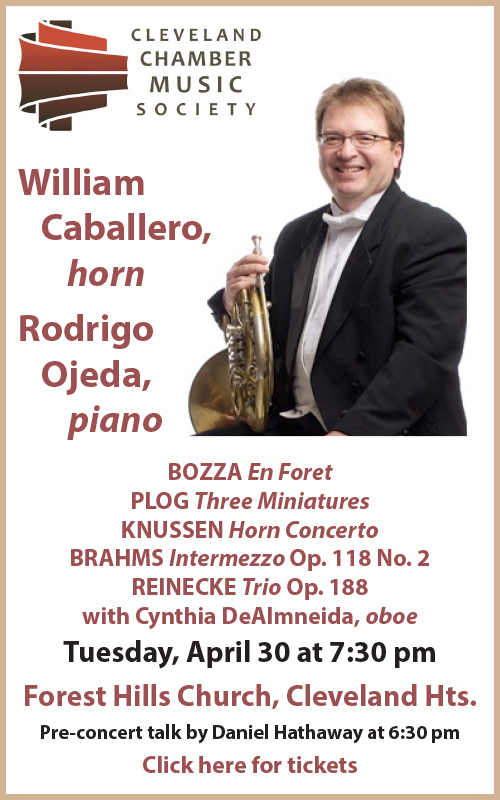 His recital was rescheduled for February 12, 2013 — then, unfortunately, due to illness, the pianist was forced to withdraw. Not every wind that blows into Cleveland from the North is a bone-chilling polar vortex. The boreal breeze that accompanied the 80-degree weather on Thursday evening, May 8, was a refreshing one that brought Finnish conductor (and newly reappointed Minnesota Orchestra music director) Osmo Vänskä to Severance Hall with striking symphonies by his countrymen Aulis Sallinen and Jan Sibelius in hand. 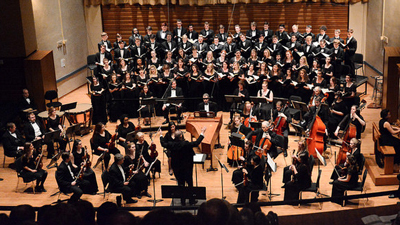 The Grieg concerto, featuring frequent guest pianist Garrick Ohlsson, added another Scandinavian voice to the evening. 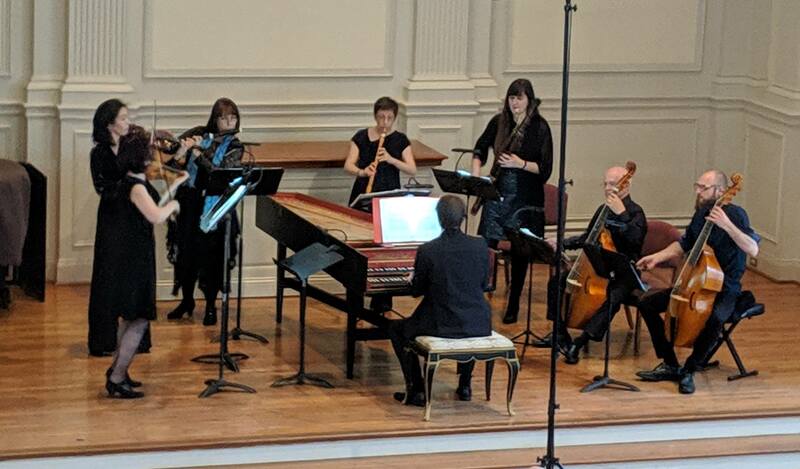 The unusually large crowd in Plymouth Church last Tuesday evening agreed enthusiastically with that assessment as the Takács and their distinguished piano colleague dug deeply into the structure and substance of Brahms’s Quartet in a, op. 51, no. 2, Piano Quintet in f, op. 34 and Haydn’s Quartet in B-flat, op. 76, no. 4, sculpting performances that rank among the most distinguished and compelling of the CCMS season to date. The Takács String Quartet, originally formed in Budapest in 1975 and since 1986 in residence at the University of Colorado at Boulder, will return to the Cleveland Chamber Music Society series on Tuesday, March 19 at 7:30 at Plymouth Church in Shaker Heights. 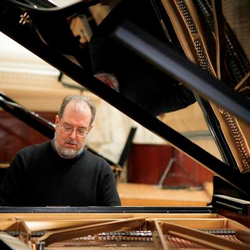 Pianist Garrick Ohlssohn will be the special guest for Brahms’s Piano Quintet in f, op. 34. 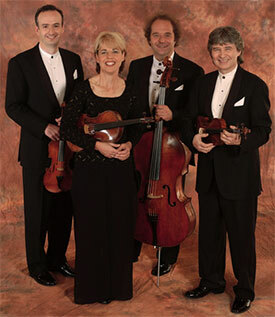 Also on the program are Brahms’s Quartet in a, op. 51, no. 2 and Haydn’s Quartet in B-flat, op. 76, no. 4. Note: this performance was eventually cancelled due to illness. agreements between artists and presenters usually contain a cancellation clause that addresses “acts of God.” And the rescheduling is usually contingent on finding a date that is agreeable to both the artist and presenter. 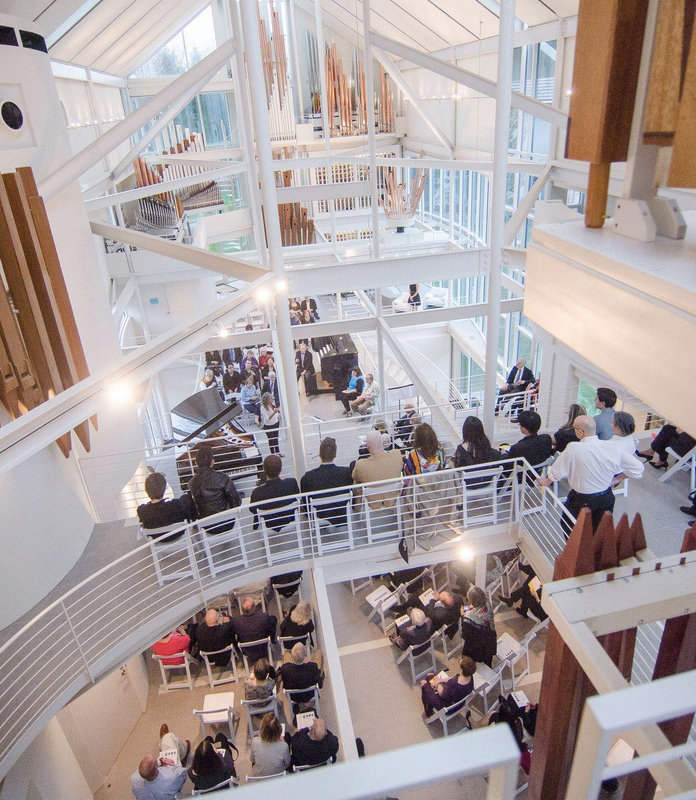 Luckily for Northeast Ohio audiences, when hurricane Sandy forced the cancellation of pianist Garrick Ohlsson’s Oberlin Artist Recital Series debut, his performance was quickly rescheduled. 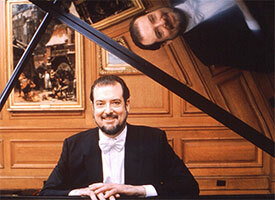 winning the 1970 Chopin International Piano Competition, pianist Garrick Ohlsson has built a reputation for being a musician of magisterial interpretive and technical prowess. 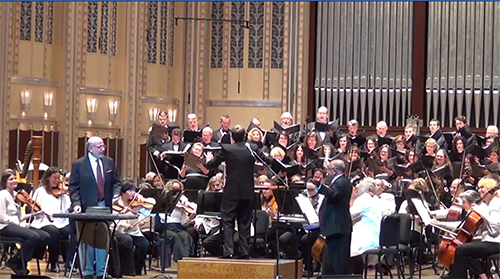 Beginning on Thursday, January 10 in Severance Hall, the celebrated pianist will join The Cleveland Orchestra under the direction of Franz Welser-Möst for three performances of Tchaikovsky’s Piano Concerto No. 2 in G Major.